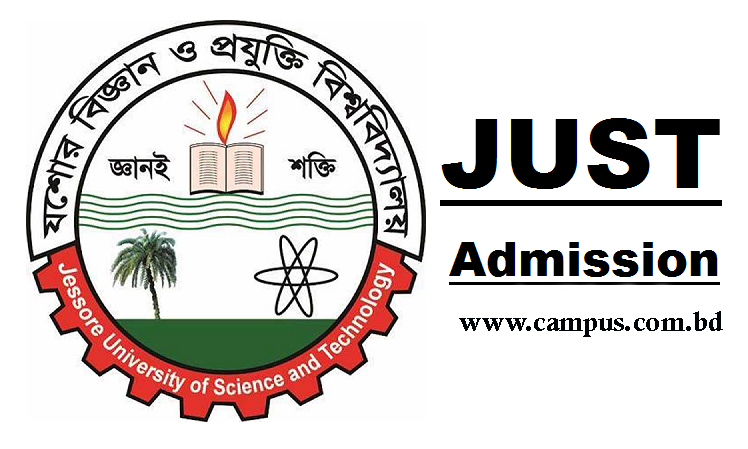 Jessore University of Science and Technology (JUST) Honours admission test 2016-17 session will be held on November 6 and 7. According to the website of JUST, Application for admission test will start from September 20 and will continue till October 22. The requirement to apply and the fee of admission test are not yet declared. Last year, students needed to have at least 7 points combined in SSC and HSC to apply for A unit and B Unit, 6.5 points for C Unit, 6 points for D Unit, 5 points for E Unit and 7 points for F Unit. This year , JUST has not yet published any circular of honours admission. We will bring the all the information as soon as JUST publishes it. Stay with us for regular update of university admission.